It is time to resume our sunflower tasks. 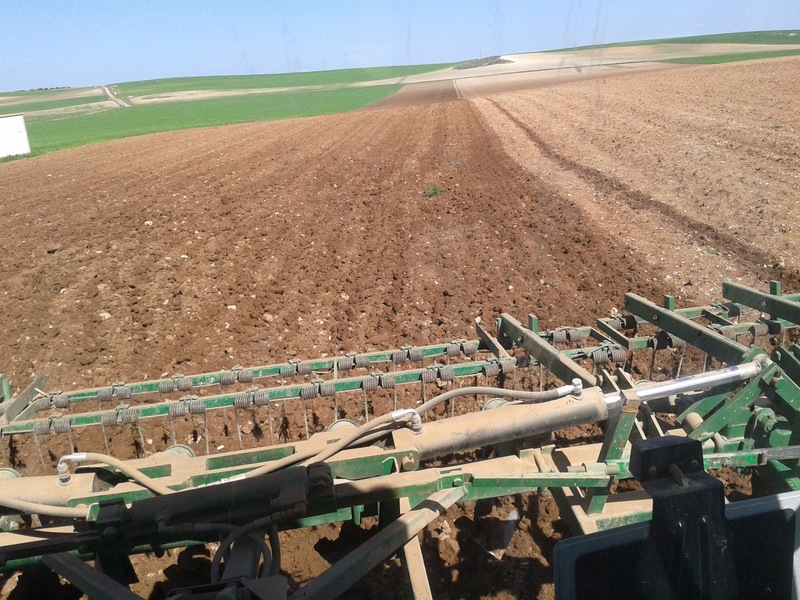 After we ploughed the stubble with discs plough in January now we need to harrow our fields using cultichissel plough to get ready the seedbed which allow us to start sowing sunflowers. 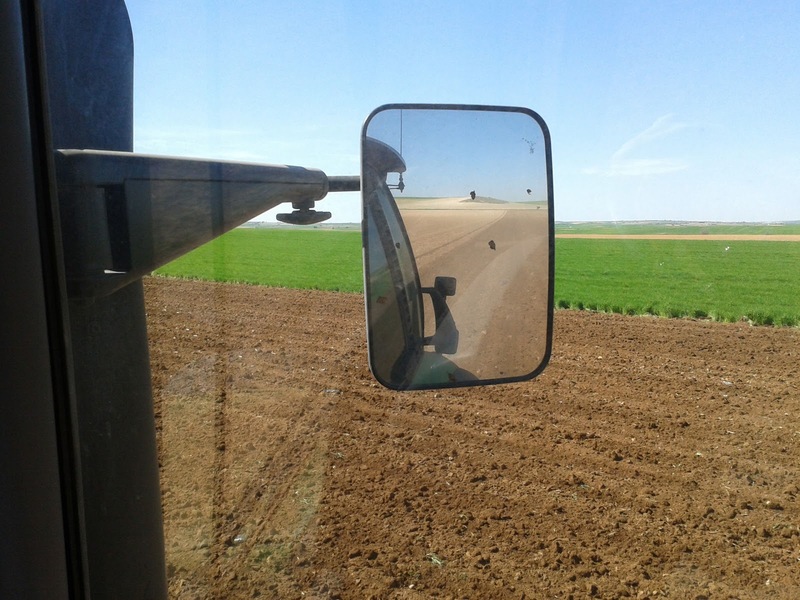 We did two passes because the second is done perpendicularly to the direction which will be used at the moment of sowing. In our opinion, the ideal situation is to start sowing sunflowers in April (for long cycle seeds), but it is sometimes impossible since fortunately it rained during these days of this year, so some farmers have to sow them in May and even during the first days of June (with short cycle seeds)... at the end, all sunflowers will be harvested in September (if summer is dry) or in October... but we will speak about sowing and harvesting in few future posts. Mucho arao le vas dando, jejej. Bonitas fotos. Nosotros las terminamos el día 11, pero la costra aparece por momentos....., el gusano lleva buen paso con ellas, asique puede ser que tengamos que resembrar. Espero que tengáis buena sementera. Muchas gracias por tu comentario, Rubén. Espero que tengais suerte y no tengáis que volver a sembrarlas. The post is interesting but much more the photos, the colors are incredible... it seems the summer is near. El post es interesante, pero mucho más a las fotos, los colores son increíbles ... el verano está cerca. Me gustaría saber ¿cuánto se tarda en hacer las dos pasadas de cultichisel por hectárea?¿o cuál es la velocidad que lleváis? The working width is 5 m and the working speed is 7.4 km/h.